Got a Drain Clog? No Problem! Every home develops clogs and there is no way to steer clear of this, whether it is your sink floor or bathroom drains. Drain cleaning is the process of clearing out blocked or clogged drains. 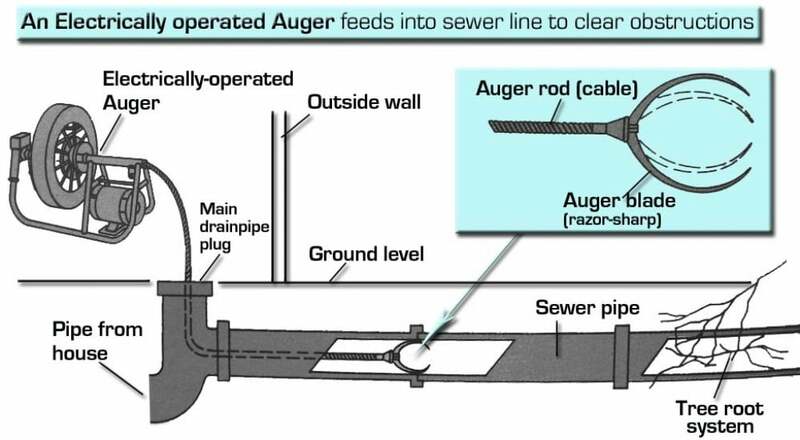 There are many different terms for drain cleaning. Some people refer to it as drain rodding, snaking a drain, rooter drain service or jetting.For clogged kitchen & Bathroom sink drains, bathtub & shower drains, garage floor and back yard drains we are experts in San Francisco and San Mateo County. If you have a clogged kitchen, toilet or shower drain Discount Plumbing of San Francisco is the plumber to call. We will be at your door in 60 minutes or less! We have the equipment to clear all types of drains! From snakes to high pressure water jetters. We specialize in keeping your drains flowing right! We have both Residential and Commercial drain cleaning equipment. When it comes to inspecting, unblocking, repairing, and replacing drains and sewers in San Francisco you can count on Discount Plumbing San Francisco. We are dedicated to providing the finest plumbers and plumbing service in San Francisco California .Discount Plumbing is the one to call for expert plumbing repairs. Discount Plumbing is available 24 hr / 7 days a week and will deliver prompt and quality service at your door. We will provide free written estimates on the jobs that need to be done.